Grey pearls are wire linked rosary style and lead to gorgeous vintage faceted crystal beads embellished with a silver bead chap. 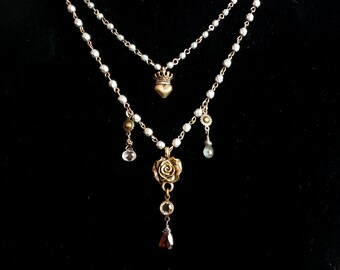 Antique gold filigree beads provide a lovely accent. 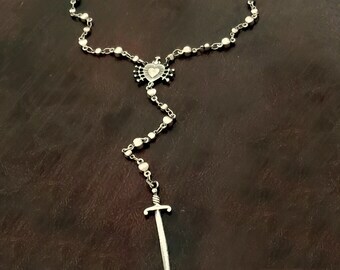 The pièce de résistance is an aged sterling sacred heart cross pendant. 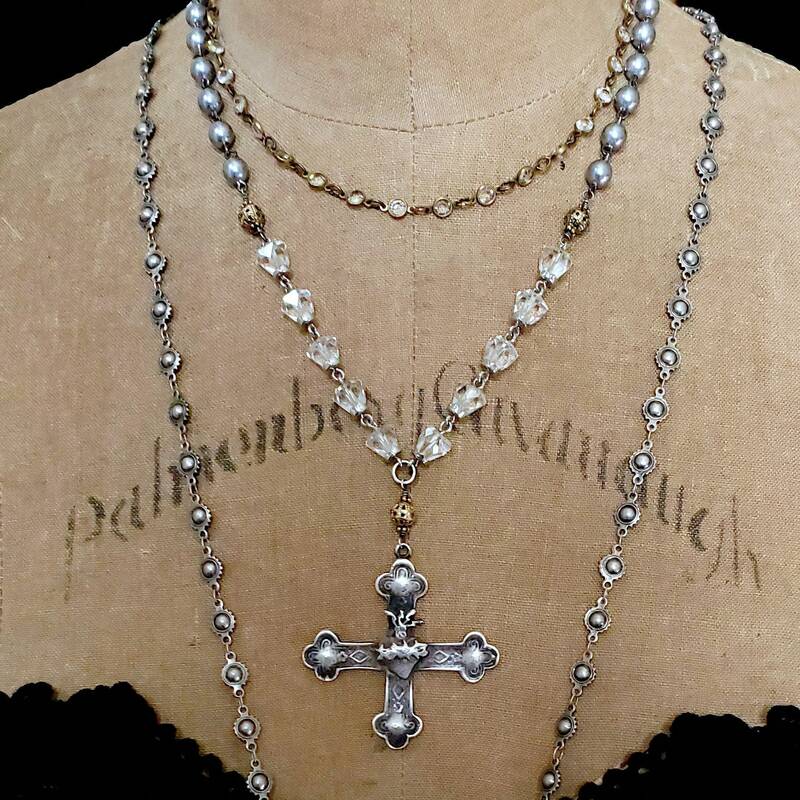 Pearls and cross have been given an antique finish. 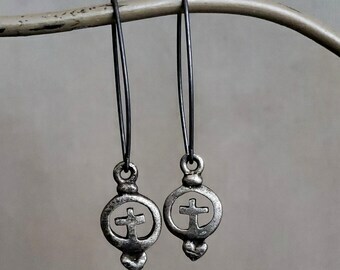 Oxidized sterling silver clasp. 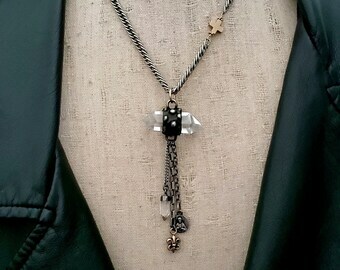 Necklace length 18". Grey glass pearls, 7mm, Cross pendant 2". 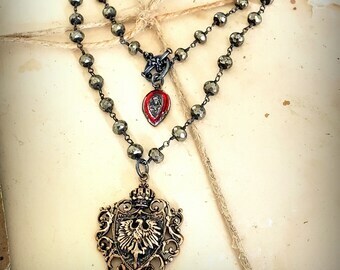 Seen here with the "Antique Brass Crystal Bezel Chain Necklace", "Antique Silver and Gold Greek Coin Pendant Necklace" and "Long Oxidized Metal Bead Chain Necklace", each sold separately.